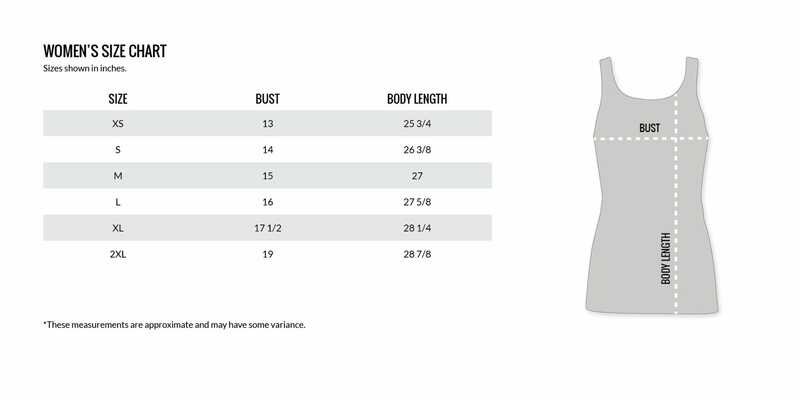 Women's Slim Fit Grey Tank is rated 5.0 out of 5 by 1. Ladies - Let’s talk about the differences between average tank tops, and this tank top. Average tank tops get worn to Zumba class and hot yoga in modern day, middle-of-somewhere suburbia, and rarely encounter more hardship than a spilled mocha-frappe-ccino at the local coffee shop. This tank top gets worn on the mountain, to the range, under a ruck sack, through mud, dirt and sand, and then back home to relax and enjoy a movie in complete comfort…all in one day. Face it – you’re a badass. Your tank top should be, too. Rated 5 out of 5 by KLeffler03 from Nice grey color and softer fabric tank I got this one in grey and the black one as well, along with a few others to wear at a local MN gun store that i work at. So far i love them both. They are a really nice feeling fabric. I would say they may run a bit smaller then expected, but they also are form fitting, which isn't bad. The softer fabric they are made of doesn't bunch or shrink, washes and wears well. And i also like the logo that runs down the back.